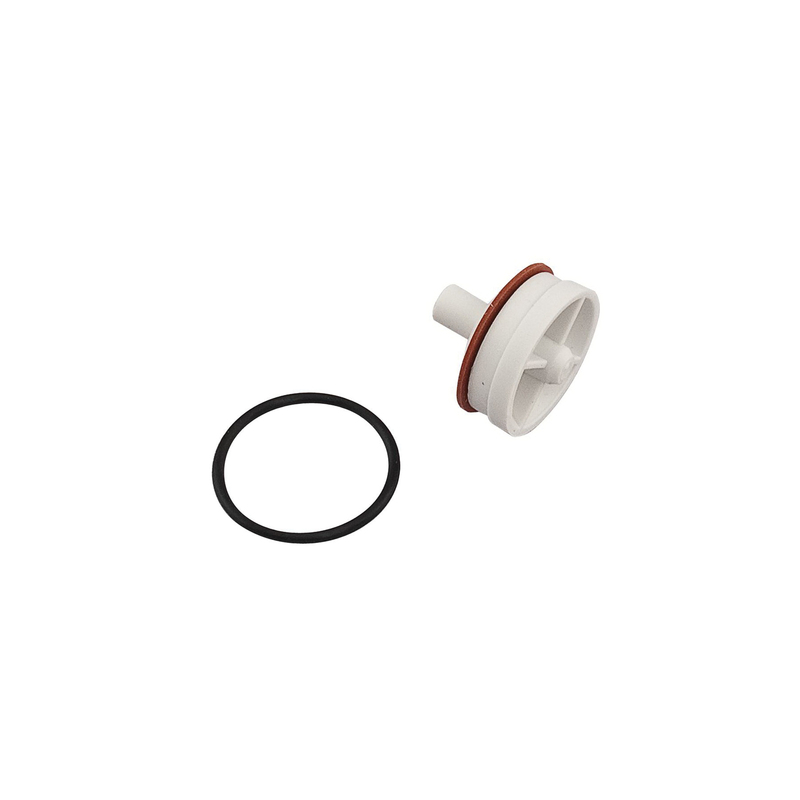 This 1/2 in anti-siphon vacuum breaker hot or cold water repair kit prevents the reverse flow of polluted water from entering into the potable water supply due to backsiphonage. It consists of a disk and disc float, a bonnet and O-ring. It has a full size orifice to assure pipe size capacity and maximum flow. It is ideal for low flow, non-continuous hot or cold water health hazard installations such as on laboratory equipment. Maximum Pressure is 125psi (8.6 bar).